Trying to find ways to help students revise is something I’ve always been interested in. It seems like somewhere along the way I worked out how to revise and got very good at learning information for exams (you’ll notice that’s not necessarily remembering it). My students on the other hand tend not to be great at revision so we always do a lesson or two on revision at some point. 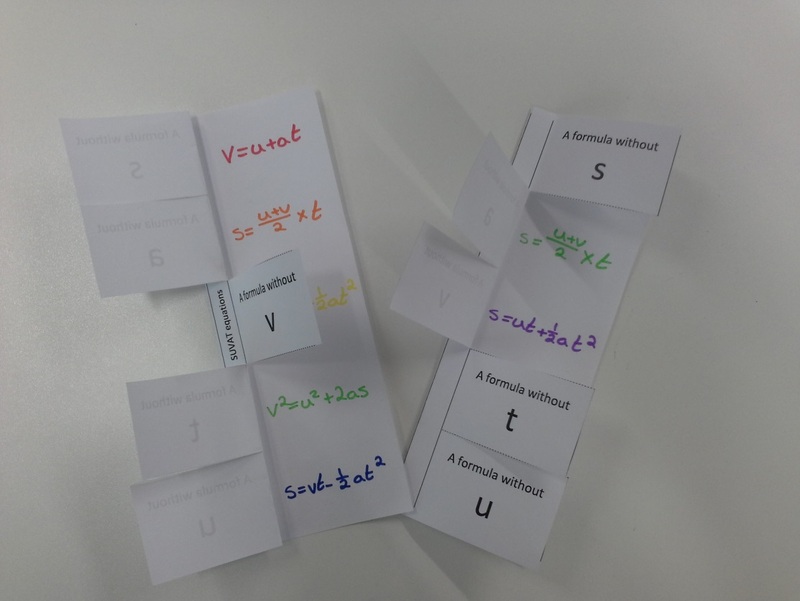 Whether I like it or not the way things are going are more and more bits of information and formulas that students need to remember and that seems to be something a lot of students struggle with. 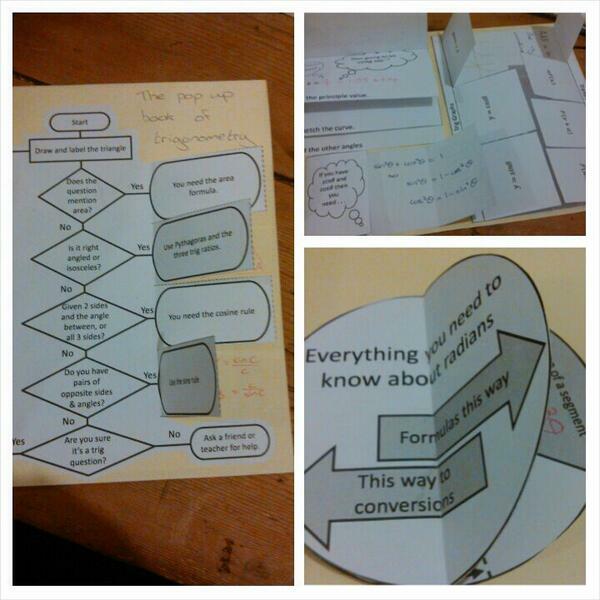 Sometime a couple of years ago year I came across the idea of foldables on pintrest. It seemed to be pretty much just an American thing but I’ve seen more people on twitter talking about them since. I love a bit of paper folding so starting having a look at different ways they were used. They are a bit like little pop up books with information hidden underneath each tab (or flaps if you want the class giggling 🙂 ). I really like the way they keep the answers or formulas covered up so that students get the chance to think about it a bit first. I’m making a section here with lots of templates in and then there are things in the topic areas. 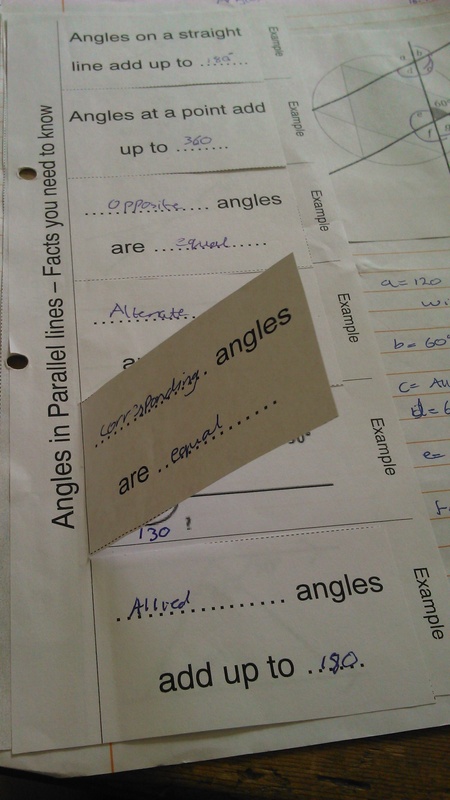 My favourite is probably the angles in parallel lines one. I used it as a starter the lesson after we’d been through the angle facts and before going on to finding multiple angles. That was in January and then when we were revising students would get them out to get spellings and things. 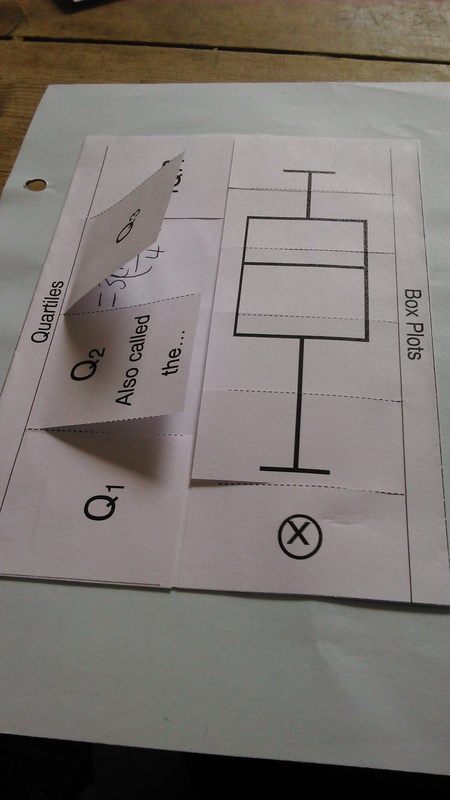 The most basic easy to make ones are just little tabs to write information underneath like these for mechanics and box plots.